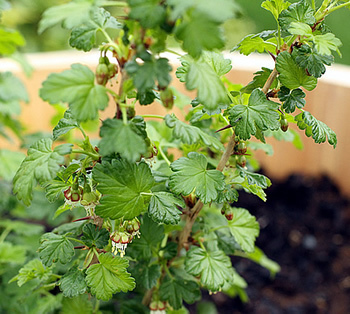 This season, our featured fruit is the MULBERRY, a lovely, blackberry-like morsel of sweetness! 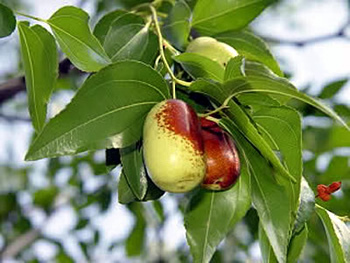 The trees we stock originated either in China (Morus alba) or western Asia (Morus nigra). Morus alba is the sole food source of silkworms and so was crucial to the silk trade in the days of yore. It was even imported to the American colonies early on in an effort to establish a silk industry here. 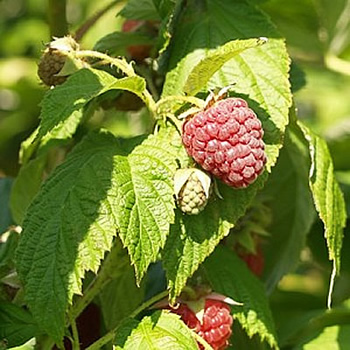 Morus nigra was cultivated extensively in Europe even before the Romans and has naturalized all over the continent. WHITE MULBERRIES are the latest health craze, with current research indicating that they do indeed lower blood sugar and also protect the heart with their antioxidants. Mulberries as a whole are an excellent source of protein, iron, calcium, Vitamins A, C, E and K, fiber and B vitamins, as well as resveratrol and other antioxidants. In addition to all these benefits, the fruit is very versatile and can be used fresh or dried, made into jam or wine and is great for baking. It is also a great favorite of birds and the trees are often planted as decoys to keep the pesky marauders from other crops. With all this going for them, mulberries are a great addition to any orchard. 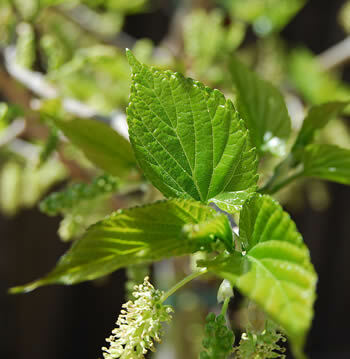 Last year, we added WHITE PAKISTAN and, this season, the newcomer is DWARF BUSH MULBERRY, a Morus nigra variety that only gets six to eight feet tall. Other new items this season are HONEY JAR JUJUBE, a prolific producer of small, sweet fruit that grows to only fifteen feet, LEAH-COT APRIUM, a reliable producer of large, flavorful fruit, 4-N-1 COLD HARDY FRUIT SALAD, good down to zone 5, and BLACK VELVET GOOSEBERRY, an award winning variety that is very disease resistant and cold hardy. We have also added BLACK TARTARIAN CHERRY on Z-Dwarf rootstock in addition to the semi-dwarfing Colt. Also available on this very dwarfing rootstock are BING, RAINIER, CRAIG'S CRIMSON, and LAPINS. 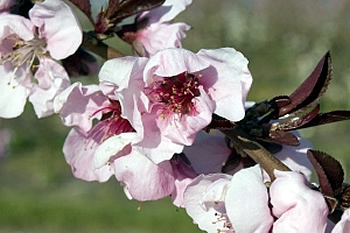 If you have limited space or just want to minimize the need to prune, these are the cherry trees to choose! We are most pleased to have some very popular items return to our catalog. SHAA-KAR PAREH APRICOT is back with its sweet white fruit, as is the ever-popular BABABERRY RASPBERRY! 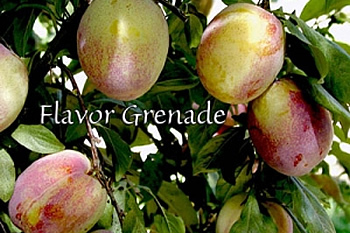 SPICE ZEE NECTAPLUM and FLAVOR GRENADE PLUOT both remain very popular and consistently score very highly in taste tests. From our experience, we can truly declare them to be swoonworthy! 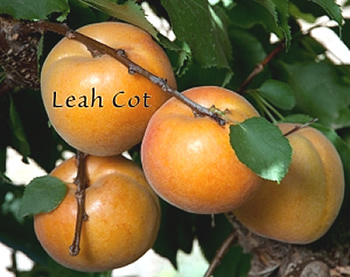 If you do not have either of these varieties in your orchard, now is the time to add these producers of utterly luscious fruit. Get the fainting couch ready!